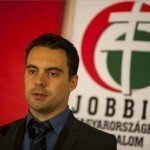 Budapest, September 5 (MTI) – Radical nationalist Jobbik party leader Gabor Vona said we must make it clear that Hungary belongs to Hungarians. “We respect them but we don’t want them here,” he said. 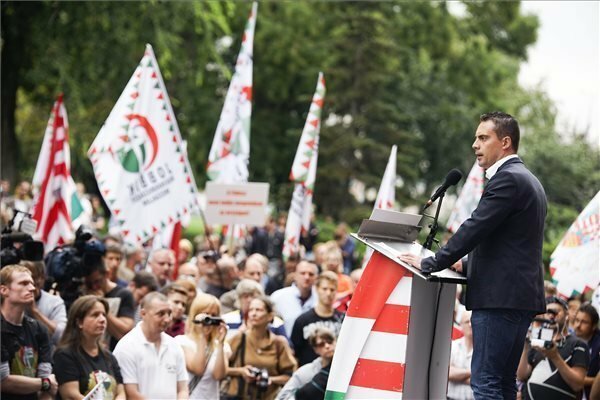 Speaking at the opposition party’s demonstration held in front of the Interior Ministry building in Budapest on Saturday, Vona said illegal migration into Hungary should be stopped by eliminating registration and sealing off the border. He also said the migration crisis was an emergency in which the nation must stand united. The inscription in English: Closed camps! Before the demonstration, a van passed through the square several times bearing the inscription “Islam is the last hope of mankind”, a sentiment that Vona had once uttered in the past. How fast the Hungarians forget what was done for them in 1956 because of the USSR occupation of their country. Over 200,000 Hungarians fled their country, and the entire world came to their help. A great effort was made to place them and their families in many countries, especially in the US, Europe and Latin America, where they were provided with homes, food, education, jobs and gave them a life that they would have never had under the Communist regime. 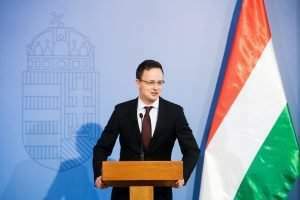 That is why is hard to understand why the Hungarians are denying help to the refugees from Syria, especially because all they want is to go across Hungary in their long and painful trek to Northern Europe. Remember the past and be kind and helpful to the people that are now going through a situation similar to yours in 1956. 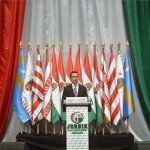 Hungary must maintain it’s identity, as Hungarians. Not Muslams , it would be a grave mistake otherwise. Help the refugees pass through and locate them throughout Europe and other industrialised countries in the world. 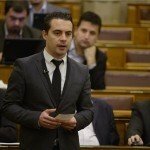 I agree with the decission of the Hungarian goverment. Kuwait,UAE,Iran and others do not open their gates for their Muslim”brothers”. as some kind of “fivth column”to “muslimize” Europe and underline Vona is correct. Find a survivor/someone that knows a bit about Hungary’s past before commenting on what happened in 1956, especially while the world stood by and did squat. Maybe read up on why the Hapsburg empire even existed. Later the Astro-Hungarian empire and what the west did, and now how they’ll getting exactly what they will. Enjoy your Baklava. Valli, there is a great difference with the 56ers and the asylum seekers. I pondered this myself and remembered viewing a show about the 56ers who were accepted in Canada. Canada accepted 38 000 Hungarians, who were either, college, university students, doctors, nurses, skilled trades workers and teachers. They even brought a university with them!! Sopron University of Mining and Forestry and it became part of UBC. The one thing that prevailed through out the program, when asking why the 56ers wanted to come to Canada, was that they wanted to become “Canadian”! They did and they also integrated peacefully into the Canadian fabric without making demands over schooling, religion or politics. This is what differentiates the 56ers from asylum seekers. Hungarians were thankful for any help they received and weren’t chanting “Germany, Germany” or by passing processing stations. …boys soccer team from ISNA Private Islamic High School refused to finish a game on Tuesday because two females were on the opposing team during a Brampton tournament. Disgraceful as it is, it is just one small item that volumes into a large issue in a very short time. Oh, also, we are still waiting for a court decision on a couple of terrorist plotting to blow up a train. Valli, yes I was one of those immigrants that came to the US and grew up here but we didn’t go to countries and try to change their culture or religion and were not offended by their customs. We didn’t try to change anything. We tried to blend in and were thankful for a roof over our heads and food on the table. We were guests and acted like guests, being polite and respecting the people and land we were in. We learned to speak our new language but never forgot our own to pass down to our children. We didn’t go around molesting women or robbing people. We kept a low profile and caused no trouble, didn’t demonstrate and just shut up and went to work and made our lives better. Tell me, why are there so many male immigrants? Why aren’t they fighting for their country instead of leaching off others? Why do the people who work for a living have to have their taxes spent on people who are just looking for the next handout? In closing, we didn’t go straight to welfare to sponge other people’s tax money. We were sponsored by other Hungarians already established in New York. My parents found work within a couple of months and my parents were able to support an apartment and all that goes with it. This is not the case with the present situation. 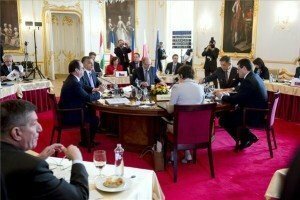 These people act like they’re entitled and, Hungarians rightly so, won’t have it and they’re right! Keep Hungary Hungarian is right on point. Anyone, who thinks like Valli, has absolutely no idea about what is really happening in Europe. So if someone don’t know the facts, they would seem lot smarter if they stay silent. Unfortunately we are facing a well sponsored, financed, informed and supported mob in probably 80% of the case. The other 20% of the crowd are the real refugees, who desparatly need help, but miss out because of the organized criminals who used this opportunity to infiltrate into the Europian countries. This whole situation brings nothing but trouble to Europe. We can’t let it happen, because it will be the beginning of the end for us. Well done Hungarian Government on your decisions. Thanks for doing everything to protect our country and it’s citizens from another foreign invasion. 1956 – due to the increasing involvement of the USSR in the Suez conflict, the US needed another conflict to keep the Russians busy. So the US & the West used Radio Free Europe and Voice of America to entice an anti-Russian uprising in Poland and Hungary. It worked in Hungary. However the West had NO intention of helping the Hungarians. The Russians were given free hand in Hungary in exchange for staying out of the Suez Conflict. Most of these negotiations were done through Tito, as documents revealed after Tito’s death. The 1956 Uprising was an ill fated result of Dirty US-Russian Politics. 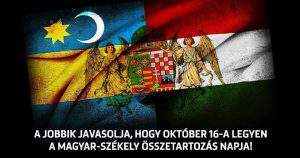 "#Szeklers are part and parcel of the #Hungarian #nation"